For those who don’t know, I was arrested yesterday evening as part of the #AFROMATION protest at Artscape. First things: I am okay. While my experience with the actually getting arrested part was dehumanizing, as I was degendered and misgendered - the rest of my experience with the police that night was not the worst. One officer even asked me about my preferred name, and if I needed to take any medication. While we were waiting in the Northern district parking lot one officer consistently referred to me as female, and allowed me to stay with other women. I was treated as a human, and given some amount of respect. Let me be clear. I would not have had this experience if I were not white. 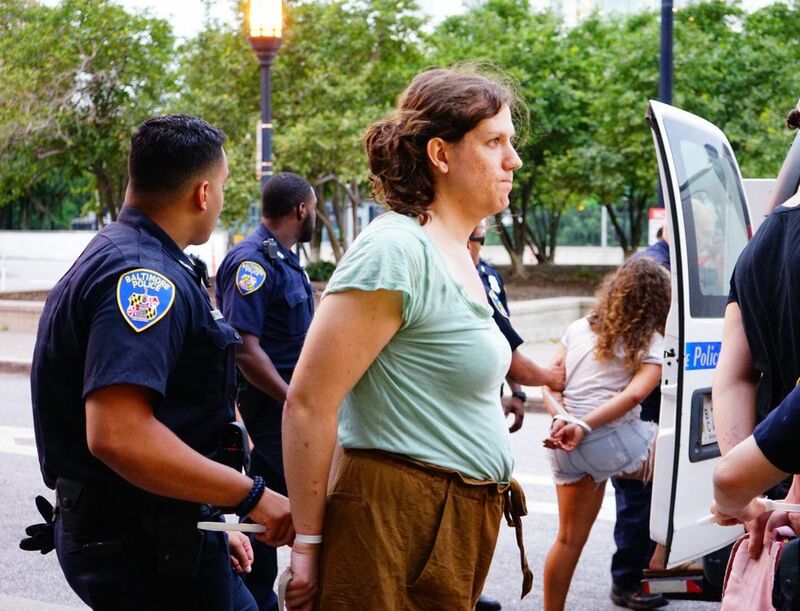 The Baltimore Police Department routinely dehumanizes, harasses, and arrests black trans women, and trans women of color, just for being trans. By having white skin, I was shielded from having these experiences. Police training on transgender issues may have helped me to have this experience last night. This training, however, occurs in a system of racist practices, tactics and policies. We can NOT deal with transgender issues, without dealing with their intersection with race. I am a benefactor of this system, By just simply accepting that the experience I had last night was an improvement from the stories that I have heard from other transgender women, I allow this system to thrive. Dismantling this system requires active participation from all benefactors of it. We must be aware of this, and we must act on it. We cannot continue to have policies that only benefit people who are white.